Talk about smart thinking! Verizon has confirmed that the next generation of Motorola’s Droid X is releasing on June 23rd and thus begins the battle of the OS. Verizon spokesperson has invited the press and reviewers to the New York City event labelled “Unleashing the Next Generation of Droid” at noon Wednesday. No name has been provided for the new device but insiders are hinting that 2 devices are expected to be launched. One could be called Droid 2 or Droid shadow and the other Droid X or Droid Xtreme. 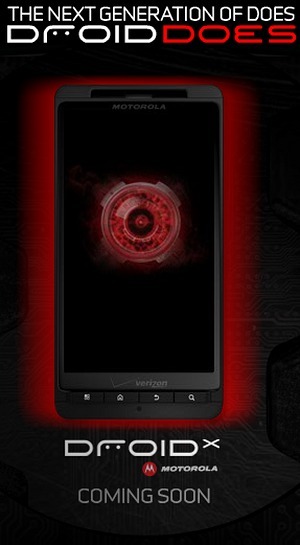 Verizon is already promoting a device called Droid X on a specially created teaser site which promises an HDMI output, a 4.3-inch display, and a “720P screen and it’s most likely to be the same smartphone that we’ll get to see on Wednesday.